Seth Sternberg, director of the Google+ platform, told me last week that millions of people already produce lots of content on Google+. Until now, that content was locked up in the platform, however. 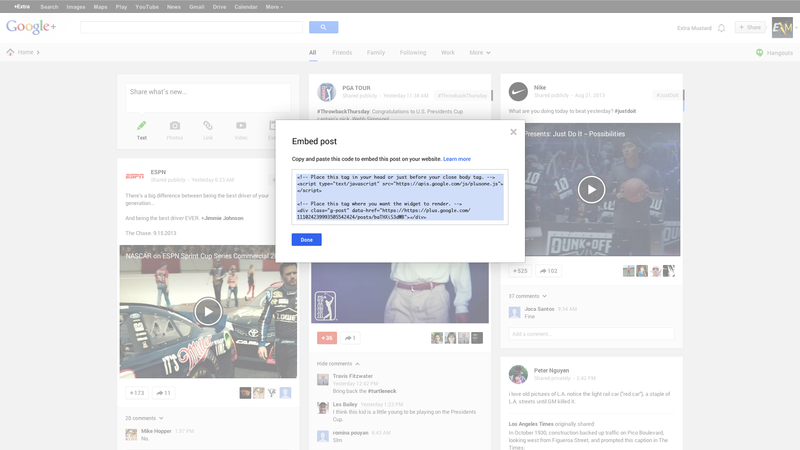 The embed feature will only be available on public posts and will be available from the drop-down menu that’s already available on every Google+ post. The new embeds look exactly like a regular, fully functioning Google+ post and feature all of the usual tools, including the ability to follow the user who wrote the post, +1 a post, add comments and, of course, read them. In addition, Sternberg announced at TechCrunch Disrupt SF today that the company has now partnered with WordPress and Typepad to expand its authorship assignments on search results pages by automatically making it available to everybody who signs in to these platforms with Google+ Sign-In. For both WordPress and Typepad, this is the companies’ first foray into using Google+ Sign In. Users with self-installed WordPress installs will be able to get access to this feature in the coming weeks. Update: It looks like Google made a mistake in its announcement. WordPress users will be able to connect their existing accounts to Google with Google+ Sign In, but WordPress will not allow you to sign in with Google+ Sign In. 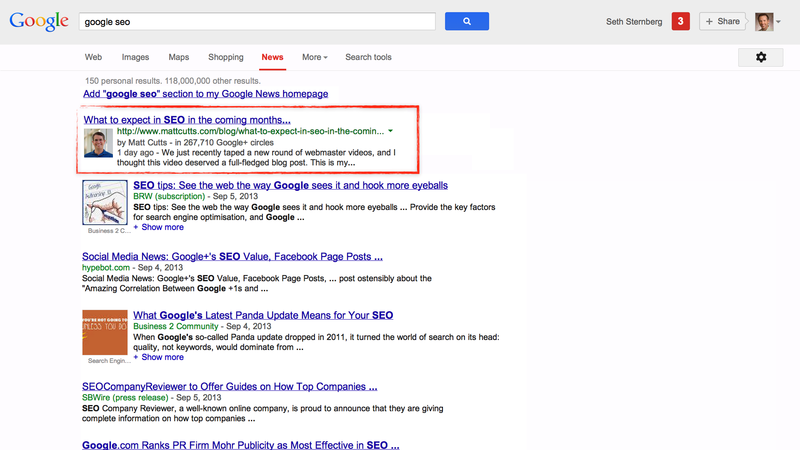 Google’s authorship program launched about two years ago, but it was always relatively complicated to get started with it and involved a number of verification steps. Now, the select number of sites that currently support this will automatically assign the right kind of markup to authors on their service, and Google will highlight their Google+ profiles on search results that include their posts. If you sign in with Google+ to your WordPress account, for example, Google will now highlight your name, picture and link to your Google+ profile when your posts appear in its search results. Sternberg told me earlier this month that this is meant to be another effort to use Google+ sign-in “to give users a better experience around the web.” While Google is launching this feature with WordPress.com and Typepad today, the company is also working with a variety of other sites, including Examiner WikiHow and About.com to expand this program to other sites and apps that use Google+ Sign-In.